For some peoples life is incomplete without sushi. 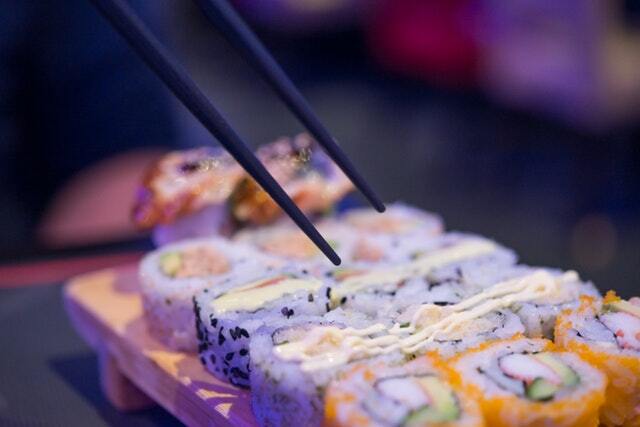 Food is something we cannot live without, and when we have sushi, life is worth living. If you have not tried out sushi, you are really, missing out. Trust me. Sushi is a popular worldwide dish comprising of boiled cold rice topped up with raw seafood and moistened with rice vinegar. You can find it everywhere with many variant. Several ingredients are used to prepare different types of sushi. So, there are a thousand reasons to love sushi. 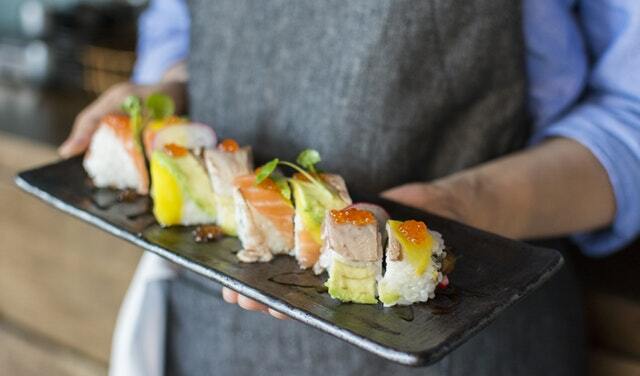 And here’s 5 reasons why we all love sushi. Sushi can be voted as the best food in the world. People have gone to the extent of coming up with sushi puns and jokes to express their love for sushi. It is the most beautiful dish with vibrant colors and comes in different forms making your mouth watery. You can have a sushi wrap, a roll, or have it in a bowl. It will be served in your preference. Whether you like it soft or a bit crunchy, it comes just the way you like it. Sushi is sweet, spicy, and even salty. You can achieve the taste you want by dipping it in your favorite sauce. If you are looking forward to having your next best romantic date, consider having a sushi date. There is a variety of many options to choose from and you will definitely like one. There is a wide range of variations starting with vegetarian sushi to deep fried roll sushi. Sushi will always be there for you to celebrate your love, comfort you, and make you happy. The best thing about Sushi is that you do not have to worry about consuming lots of calories. 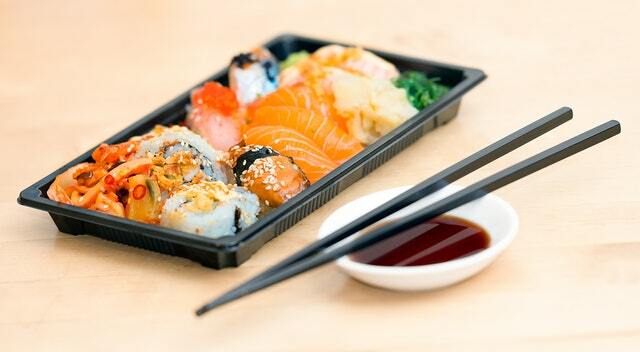 A combination of rice, vegetables, raw fish, and seaweed will not increase your calories. 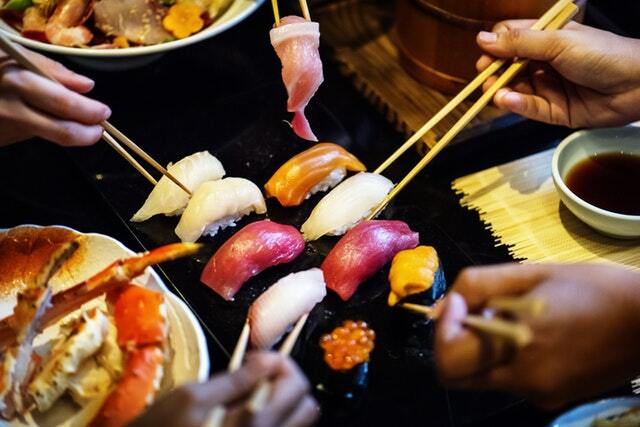 Sushi has zero grams of fat, which makes it a winning food. 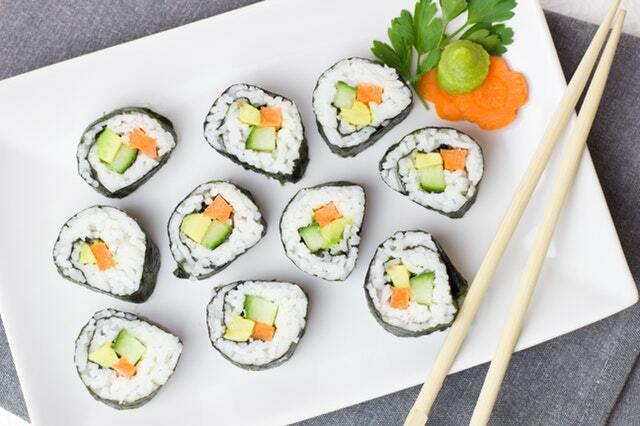 Sushi is rich in vitamins A, B-6 and C. It also has plenty of minerals such as iodine that makes it a healthy food. It improves the health of your heart and also reduces blood pressure. If there is a place that is always full of life and has a vibrant atmosphere is a sushi bar. This is the best place to celebrate with friends and your loved ones. Fine sushi bars always attract large crowds who come to have a slice of this magical dish. The best thing about sushi is that you can get it locally. Sushi stations are just outside your doorstep preparing fresh sushi at your favorite flavors. Another good thing about sushi is that you use a chopstick to eat rather than the common forks that are more entertaining. If you do not like to go for sushi joints, you can prepare your favorite sushi at the comfort of your home. Sushi is pretty much easy to prepare, and it will not take you long before you have your favorite dish at your table. You have to try eating sushi for once in lifetime! But, once you try it, you will come back again-again-again to eat it. 😉 Yes, sushi is really addictive. banget banget bangeeet suka sushi. awalnya ya ran aku ga percaya sushi apalagi yg pake topping ikan mentah bakal enak. 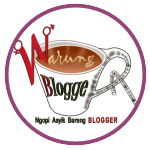 tpnpas dibujukin adekku yg cara makannya kayak enak banget, lgs tergoda. aku coba termasuk sashimi salmon, pake wasabi, dan uwaaahhhhh sampe skr aku jd penggemar berat sushi. 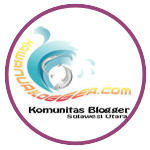 kalo di jkt resto sushi favoritku ada bbrpa. kiyadon, sushi tei, umaku, sushi hiro. 4 ini terkenal di jkt dan enak2 sushinya. aku paling kapok makan di ichiban sushi, miyabi sushi ato sushi rakyat. yg ntah apa rasa sushi di sana :p.
Sushi is one of my favorite food. But I can’t eat it all the time, because it’s too fancy. I remember I only eat it after pay day. And I enjoyed it so much.